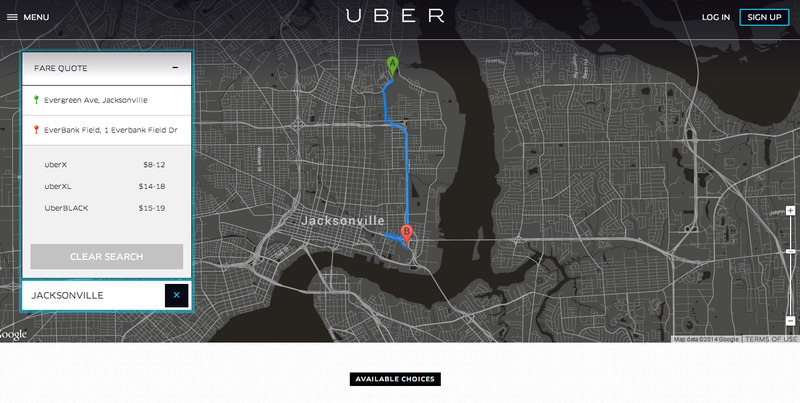 A man in Jacksonville is boycotting Uber after being charged $US100 per mile for his journey. Paul Wood tells News4Jax that his journey on November 2, a four-mile trip to the city centre, cost him $US400 — a surge of 21% when compared with a regular quote on the website. We used Uber’s instant pricing service to figure out how much a booking over the same mileage would cost on Thursday, and in the top class available, an UberBLACK, the top price is $US19. Wood’s charge came about during Jacksonville’s very busy Georgia-Florida football weekend; as ActionNewsJax notes, tens of thousands of people flooded downtown Jacksonville. News4Jax reports the taxi company’s local Twitter feed saw reams of complaints on the day, with customers complaining of fares worth hundreds of dollars. On Twitter Ryan Jiorle comments the prices on November 2 worked out at $US375 for a 30-minute ride. David Deviese also used Uber at the time and explains his 17-mile journey cost him $US295, around $US17 a mile — a 20-minute trip that usually sets him back $US30-40. And another user sent his receipt into ActionNewsJax showing his bill of $US256 for 26 miles, which works out at $US10 per mile. 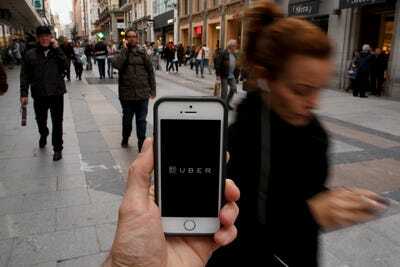 But through Uber’s “dynamic pricing” strategy, fares increase relative to how many people need a ride. The app tells potential customers of its pricing methods and the company adds that people have a choice before confirming any business. Wood feels his fare is an unacceptable “overcharge”, however, and argues the company goes “out of its way” to rip people off. More importantly, compared with the other two Uber users featured, it appears Wood’s journey, which according to Google Maps would take around eight minutes (traffic would have been worse on November 2) is inflated — around $US80 more per mile than the other two upset customers.